My work is concerned with the ontology and exploration of sensory waterscapes in the quest to capture what I have named fugitive essence. I am concerned with making things visible that are not normally visible to the human eye e.g. minerals found in Cornish spring water and the geothermal waters from Bath and Iceland; pinning down and reframing these elusive substances. My practice involves long exposure photography, recorded field sounds and sample collections of waters and rock. The quest for fugitive essence led to a collaboration with a Scientist at Bath University. 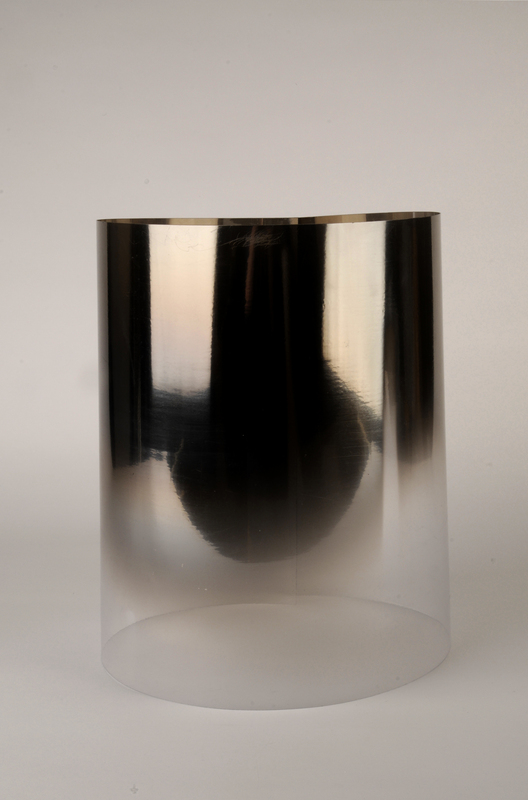 The elemental values of the water samples were chemically analysed and then vaporised onto an acrylic tube, the process revealed colours indicative of site-specific locations. These acrylic tubes were photographed and the images mounted on a medical light boxes relocating the work back in a scientific context; in the same way an x-ray reveals the inside of a body not visible to the eye so to the elemental colours of the minerals contained within the waters are exposed after vaporisation. The x-ray light box becomes a system of delivery of the concept of fugitive essence.